Critically Acclaimed: The Six-Shot: All the 'Bring It On' Movies! 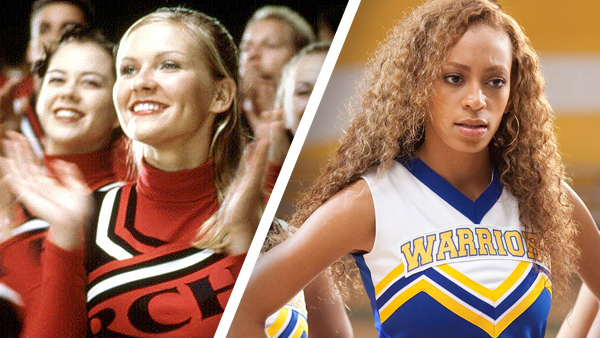 Kirsten Dunst, Gabrielle Union and Eliza Dushku starred in "Bring It On," a slumber party classic about a championship cheerleading squad which learns that, unbeknownst to them, their success was based on plagiarism and cultural appropriation! It's surprisingly smart, thoughtful and funny, and it's considered a minor classic. But while people may remember "Bring It On" fondly, most people don't realize there were SIX movies in the franchise, five of which went straight to video and starred recognizable actors like Rihanna, Felicia Day, Hayden Panettiere and Solange Knowles! This week on THE SIX-SHOT (a very special episode of THE TWO-SHOT), film critics William Bibbiani and Witney Seibold explore the entire "Bring It On" series to reveal which sequels work and which ones barely seem like real movies!